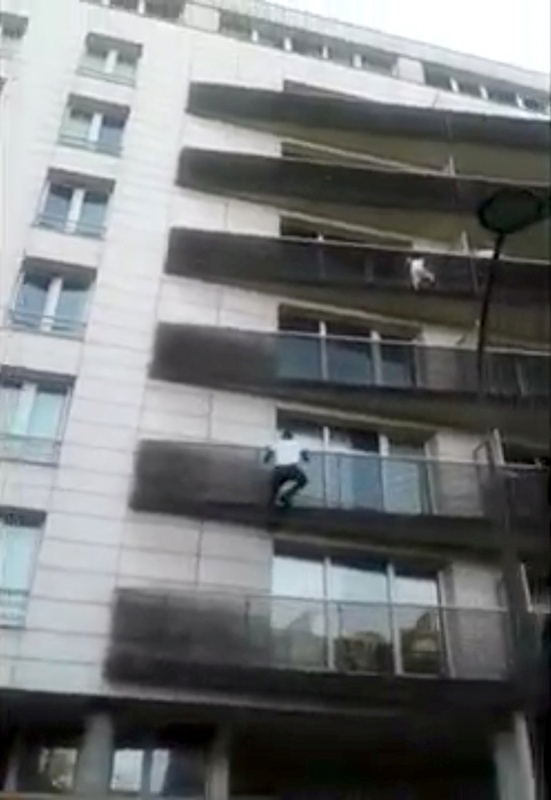 Video shows Mamoudou Gassama, 22, risking his life on Sunday as he climbed up the balconies to rescue the four-year-old who is clinging to a railing and glancing at the ground below, while horrified onlookers watched. 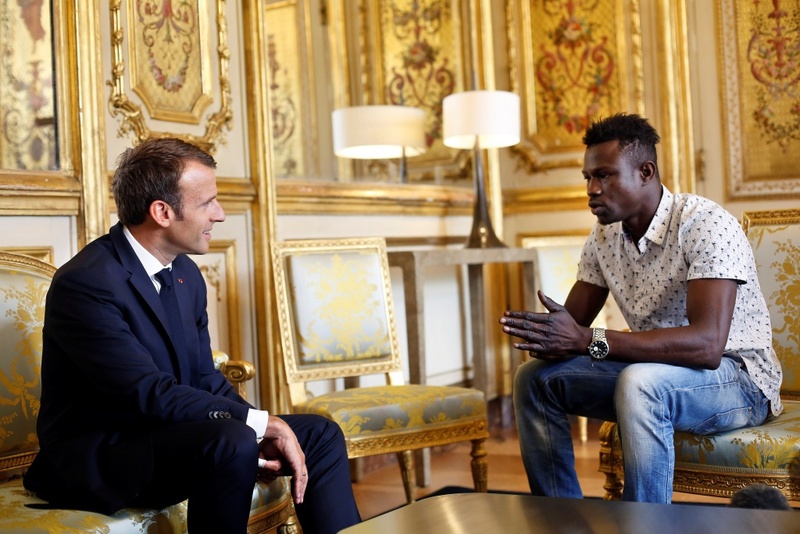 The video went viral and Gassama, who has been nicknamed “Spider-Man” for reaching the boy in the nick of time, was swiftly granted a meeting at the Elysee Palace. 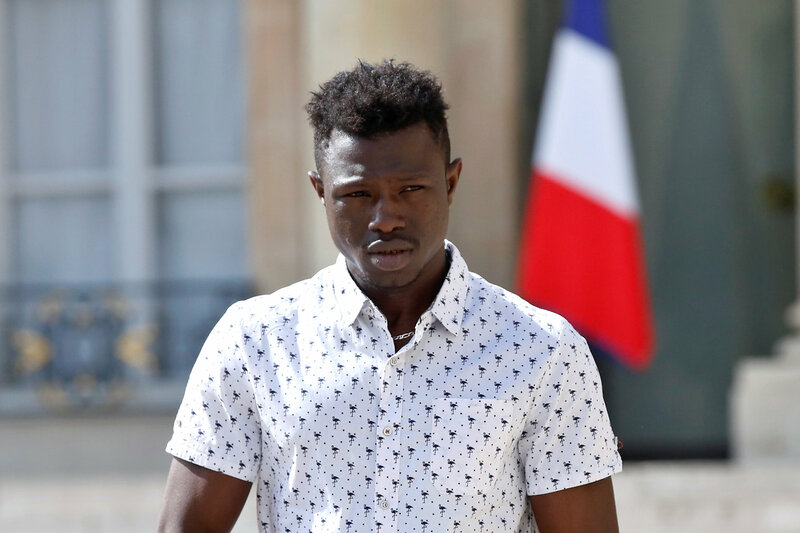 Macron congratulated Gassama for “an exceptional act” and said France would give him a job in the emergency services. “We’ll obviously be setting all your papers straight and if you wish it, we will start the process of naturalization so that you can become French,” he added. Ministers said the citizenship process would be sped up, although Gassama can’t legally be granted it right away. As elsewhere in Europe, immigration from Africa and the Middle East has fixated French public opinion in the last few years, fuelling the rise of far-right parties such as the National Front. Macron, who had been criticised by left-wing voters for taking a tougher stance on immigration since his election, may also have sought to send a message to Socialist voters by signalling a more welcoming attitude to a deserving migrant. Europe has faced a migrant crisis since 2015 following wars in Libya and Syria and more than 1 million people from Africa and the Middle East have tried to reach the continent via Turkey or by sea. Macron’s government has said it wants to be both firm and fair on immigration but it took a tougher stance lately, with parliament approving a bill that tightens asylum rules. “What you have done corresponds with what firefighters do; if this fits your wishes, you could join the firefighters‘ corps so that you can do (such acts) on a daily basis,” he said. Adam Thiam, a Malian analyst and former presidential advisor told Reuters that Gassama’s act had been praised in his home country. Gassama told Paris Mayor Anne Hidalgo by phone on Sunday he arrived from Mali a few months ago and wished to stay in France. “I replied that his heroic gesture was an example for all citizens and that the City of Paris will obviously be keen to support him in his efforts to settle in France,” Hidalgo said. The boy’s father was arrested and told police he had left his son alone to go shopping and returned home later than planned because he was playing Pokemon Go, an enhanced reality game, on his smartphone. “His behaviour constitutes an offence, failing to honour parental responsibilities, which carries a possible sentence of two years in jail,” Molins said. 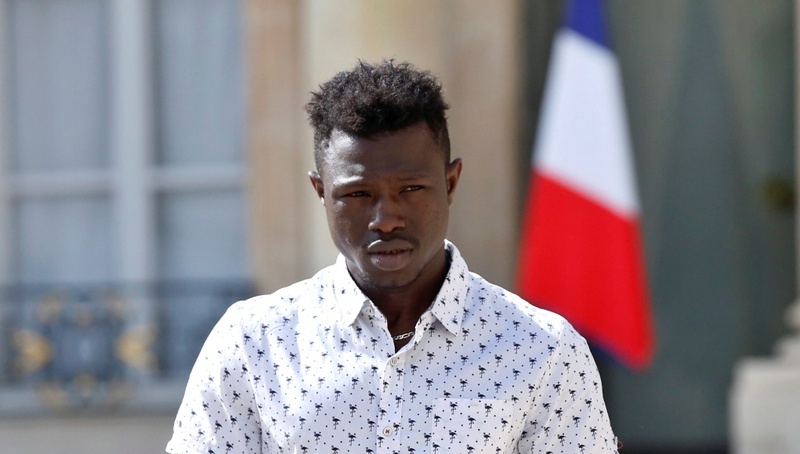 Gassama is being offered a spell of community service work at the Paris emergency services. An official website says the work pays about 480 euros ($558) a month for a fixed 11-month period.